it's like, not giving me a zip file. 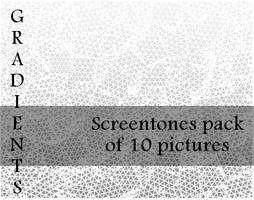 Uhm, do I do the screentones manually on Manga Studio or is there a way to get them pre-made? I'm still getting used to the program @_@;; I haven't used it much since my tablet broke and I recently got a new one.